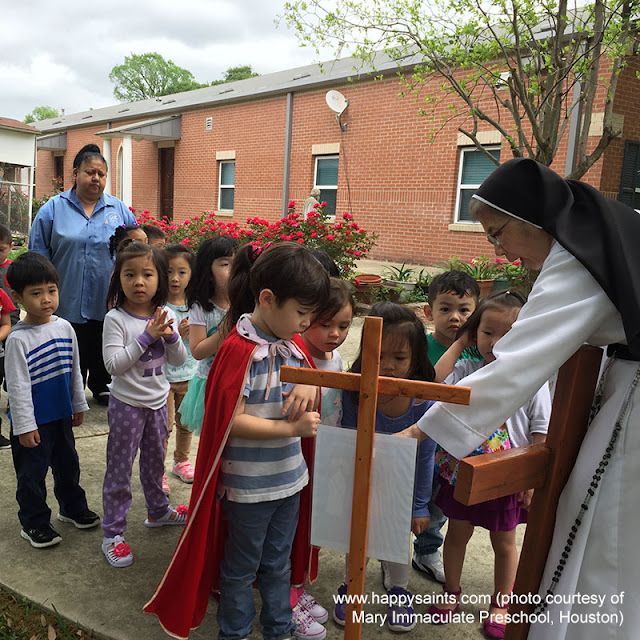 Students from Mary Immaculate Preschool in Houston doing the Stations of the Cross on Good Friday. 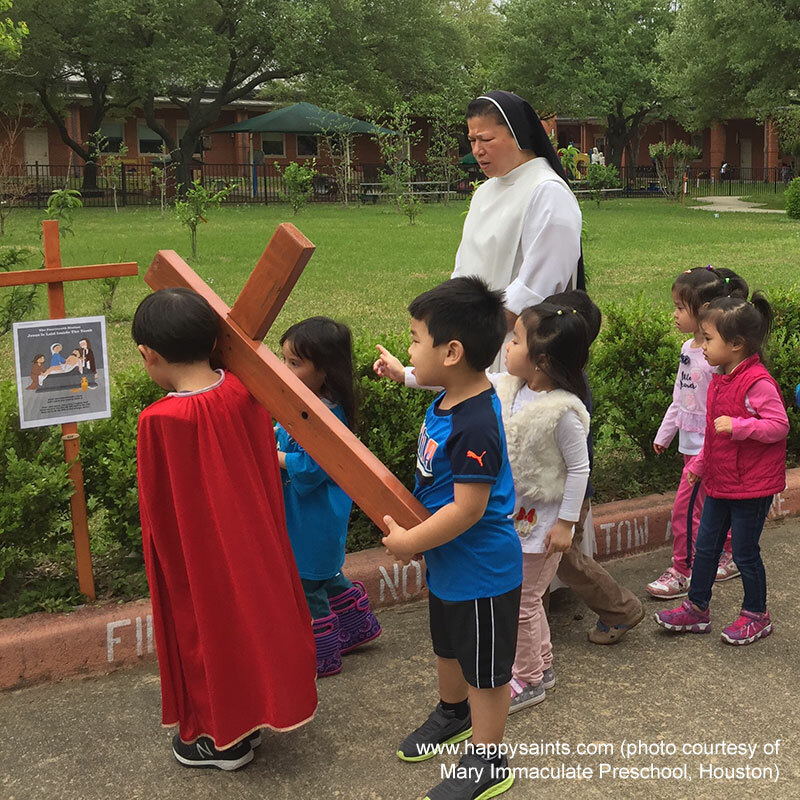 15 small crosses with Happy Saints artworks were placed along the convent’s walkway. 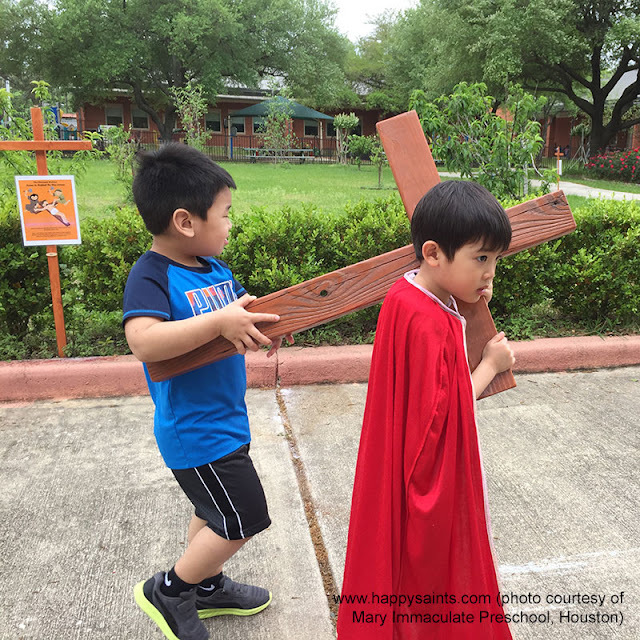 A child took Jesus’ role and carried the cross from station to station while the rest followed along.